information about the SANE stv680 Vidcam backend. 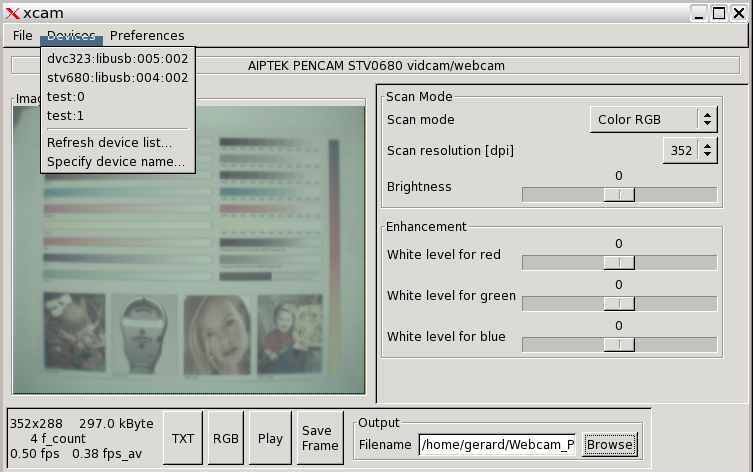 CIF/QCIF or VGA/QVGA resolution is sensor depended. 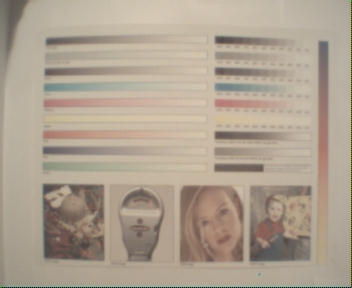 fileformat: .ppm, format from camera bayer 422. 13-01-2005 Some snapshots to compare the quality of the different camera's. 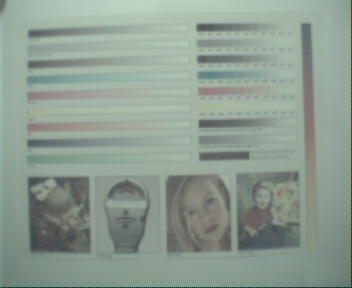 *** Remark: For these images brightness and white level values all 0.
display and save to file is possible). remove first "stop_camera ();" line in routine "input_available". each time overwritten or each time a frame is written to a new file). scanimage -B -d stv680:libusb:001:002 --batch=out.ppm --batch-count 5 --mode "Color RGB"
3. saned: not tested yet. 4. scanadf: not tested yet. writing a gstreamer-sane plugin will be a lot of work and/or difficult. scanimage which is refreshed at a rate of .. fps. 03-07-2006 .. 03-07-2006 SANE-Backends 1.0.18 is released (stv680 is included). 05-06-2006 .. 05-06-2006 Files uploaded to SANE CVS, will be released with SANE 1.0.18.
can be added to image (mode COLOR_RGB_TEXT), see screenshot. 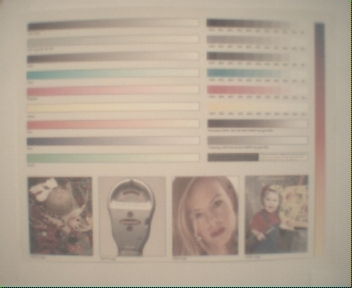 03-01-2005 .. 10-01-2005 Adjust buffersize (CIF/VGA), reduce number of buffers, some code cleanup. With scanimage about 2 fps (352x288). usb vid and pid. With scanimage about 1.8 fps (352x288). 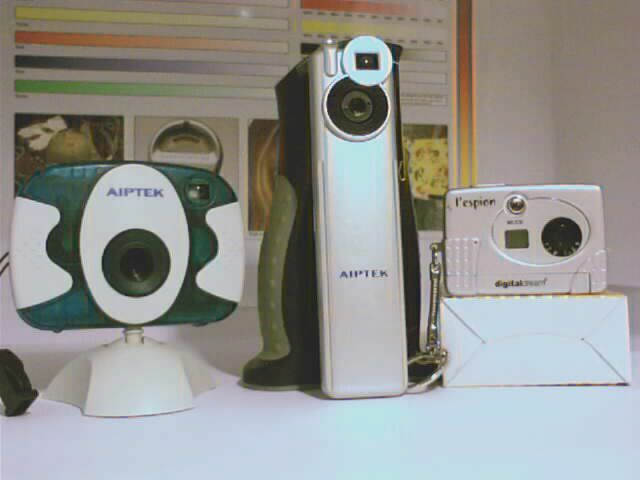 xcam, xawtv, camorama, spacagui, gtkam, gphoto2). pencam2 for still camera and webcamera function. 1. Code cleanup, check/resolve memory leakage (valgrind 2>logfile.txt xcam -B). some causes could be: timeing, code. 3. Check identify and init routine for usb commands sequence (increase fps). 4. Made some ref. images with a better light source. 5. Test/work on interface with other frontends like saned, scanadf or some v4l/v4l2 frontends.